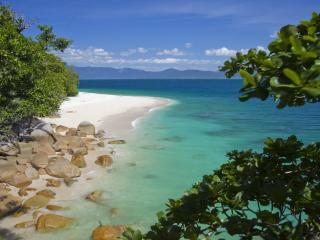 Discover the beauty of Fitzroy Island on this great day trip out to the Great Barrier Reef. Relax on the sun drenched beach, explore the stunning island environment or inject some adventure into your day. Snorkel equipment is provided and a glass bottom boat and kayaks are also available for viewing the marine life and coral in the water. Do as much or as little as you like with this activity packed day trip to Fitzroy Island. A fully guided tour of Fitzroy Island taken from the sea with a memorable journey on board a sea kayak. Explore the waters around the island and discover the charm of the lighthouse, snorkelling and stunning views from Little Fitzroy Island. Relax on the beach or explore the island, it's up to you. 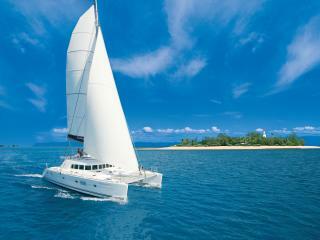 A unique catamaran cruise where reef meets rainforest on picturesque Green Island. Enjoy 7 hours of cruising and island exploration with all activities included. Spend your time strolling along the beach, snorkelling the crystal waters or viewing coral in a glass bottom boat. 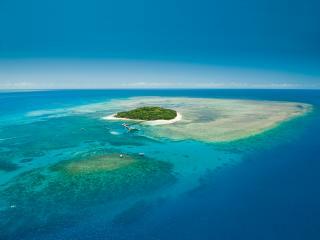 An ancient coral cay, Green Island is also renowned as the gateway to the Great Barrier Reef's adventure playground. On this tour, explore the spectacular natural environment and complex ecosystems in play with rainforest walks, swimming, snorkelling, diving, glass bottom boat tours and more. Marvel at the stunning views and unique environment of Green Island's Marine National Park with this cruise on the Great Barrier Reef. Choose from half or full day tours including semi-submersible submarine rides, swimming, snorkelling and exploring the amazing coral reefs, rainforests and beaches of the island. Discover the tropical soft corals, colourful hard corals, wide range of bird species and stunning heritage walks of the Low Isles aboard this full day cruise on Sailaway IV. Complete with a buffet lunch, this cruise is the perfect way to experience the stunning nature and rich biodiversity of the Great Barrier Reef.